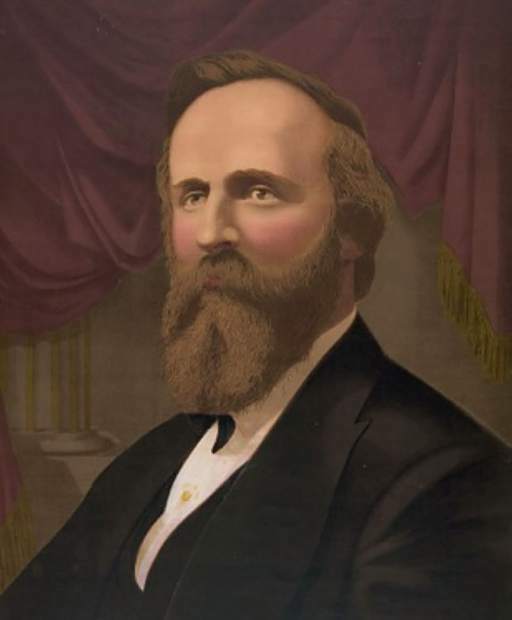 For: Aug 13 Photo: hayes.jpg At the time of Aspenâs founding, President Rutherford B. Hayesâ popularity ranked low in the West. Citizens called him “His Fraudulency” because he won the election despite loss of the popular vote. Immigrants’ issues defined his presidency. He slashed the budget and threatened civil servants’ jobs. Some label him the most controversial president ever. You might assume this diatribe describes our current president. But while the two men share similarities, this story features Rutherford B. Hayes, who led our country at the time B. Clark Wheeler and others founded Aspen. Hayes prevailed in the election of 1876. Congress had approved Colorado’s statehood in August, so that election also determined who would serve in the legislature. Candidates declared themselves either a Democrat for Tilden or a Republican for Hayes because the legislature would select the state’s three presidential electors. As happened in other western states, Republicans dominated and Colorado selected electors for Hayes. Following the Civil War, northern Lincoln Republicans, so-called “carpetbaggers,” traveled to the South to court the favor of new voters, African Americans. Federal troops protected these Republicans as they gained control and ran the government of three southern states. But Democrats suppressed the African American vote in the South through widespread efforts during the election of 1876. Although Democrat Tilden won the popular vote with a margin of 300,000 out of 8 million votes nationwide, Republicans challenged the Electoral College tally. Congress awarded the disputed 20 electoral votes from the South to Hayes and thereby clinched a Republican presidency. But it did so through an unwritten compromise: Hayes agreed to serve only one term, which increased prospects for Democrats in the next election. And the government withdrew federal troops from the South, a move that granted free reign to Democrats in that powerful region for decades. A start like that doomed Hayes to an ineffectual and unpopular four years. Although Coloradans had voted Republican, Hayes did not champion their issues. For instance, Americans continued to experience economic instability as they recovered from the Panic of 1873. Demonetization of silver had contributed to that downturn. During the height of the Colorado silver rush, many residents supported the Bland Act to remonetize silver, but Hayes, their candidate, betrayed that dream. The hotly debated Act passed in February 1878 at 5 in the morning after a 17-hour session. Sen. William Allison (R-Iowa) had attached an amendment that established the amount of silver that the government would purchase, at least $2 million each month. To satisfy those who worried the expense would fuel inflation, he capped the purchases at $4 million monthly. The Bland Act also required the U.S. to conference with other countries to persuade them to accept silver, in addition to the international gold standard, for foreign exchange. Hayes, who viewed gold as the only standard, vetoed the act and sealed the displeasure of those who had settled Aspen. Congress overrode that veto, the price of silver rose, and the Treasury bought all the silver Aspen could produce. Had he run for a second term, Hayes wouldn’t have stood a chance with Aspen’s Republicans. During four years of statehood, Coloradans had paid attention to the presidency and prepared for the election of 1880. This time they chose a Democrat, Grover Cleveland. As had Hayes, Cleveland eventually rejected Coloradans’ silver economy during his second term after a one-term gap. In 1893 he led the charge to return the country to a one metal standard, gold.